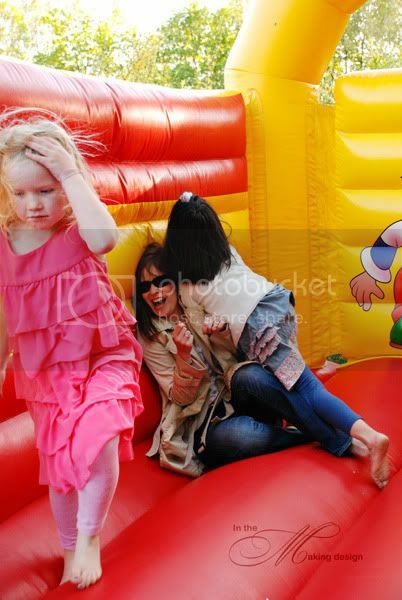 At the tender age of 37 I finally got to jump in a bouncy castle. Not that it necessarily was something I had longed for or even thought about in, oh, the last 25 years or so. Let's just say that it wasn't on my list of "must dos" for this year. But nevertheless, it was something I had never done. Until today. At a kiddie party. It was a lot of fun, but man, I need to take up sports of some kind because I was dying up there. 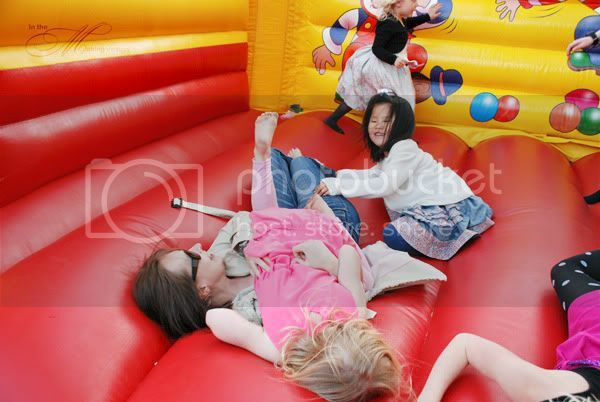 And the kids liked to gang up on me and make me fall over all the time. I don't think I have laughed so hard in a long time while trying to get up again. A good first, I have to say! Too funny! Glad you finally got to experience the fun!